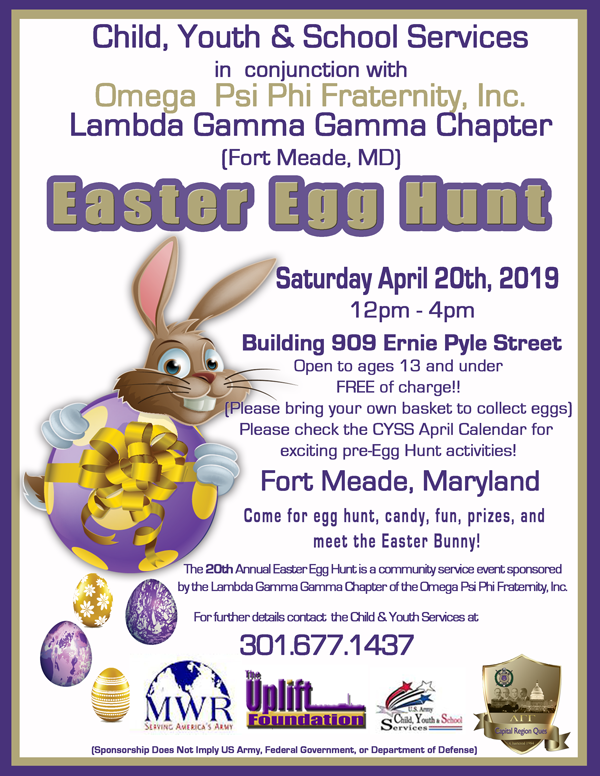 Parents & children ages 13 and younger, please come out and join us on Saturday April 20th, 2019 as we host our 20th Annual Easter Egg Hunt! 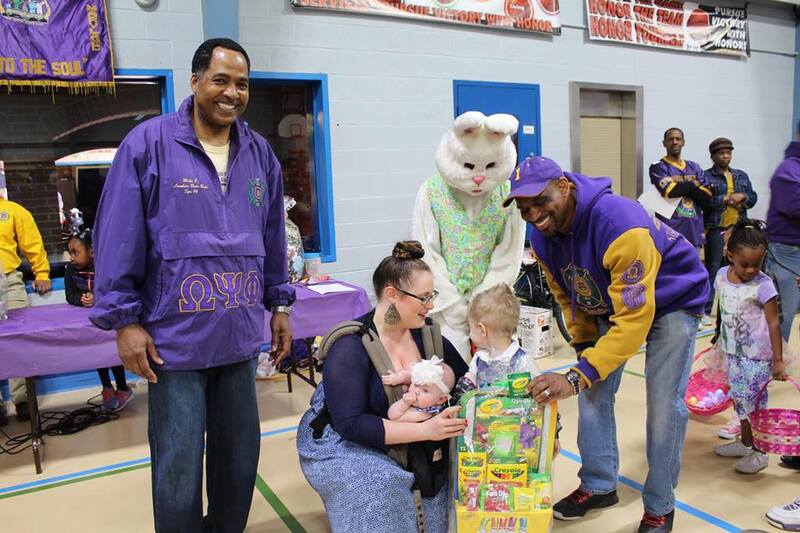 This fun-filled event will have an egg hunt, candy, fun, prized and the Easter Bunny! This event is hosted by the brothers of Lambda Gamma Gamma Chapter of Omega Psi Phi Fraternity, Inc. and the UPLIFT Foundation. Follow us on Facebook for more of our upcoming youth based events (e.g. Kids Day at the Wizards, Kids Day at the Nationals, and Kids Day at Six Flags).